Sometimes being a writer means you get to do really cool stuff. 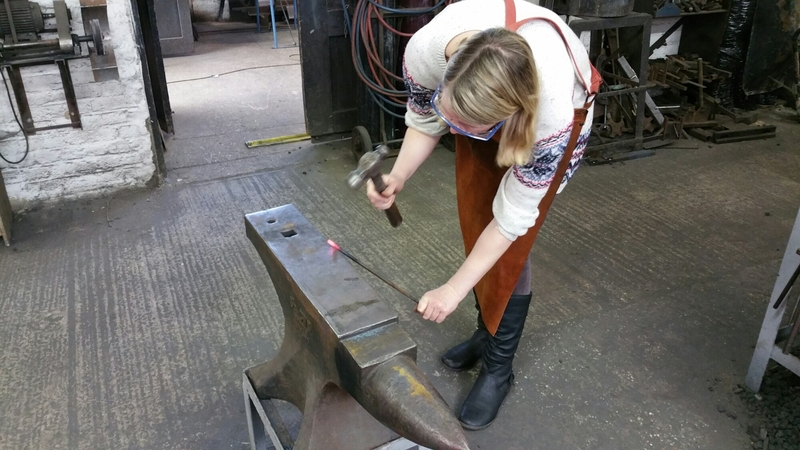 Last month, I went to Hay Festival and got a room full of people licking their elbows (note: I do this a lot) and this month, I’ve spent a day in a real blacksmith’s forge, learning how to work metal. And the best thing about all of these cool things is that I get to call them work! The forge day was part of my research for an adult book I’m working on now but while I was learning how to heat the metal and beat it into a new shape, I was reminded of the process of writing. When I’m working on a new story, first I get it roughly into the right shape and then I go back to it and refine it until it is exactly what I want it to be. 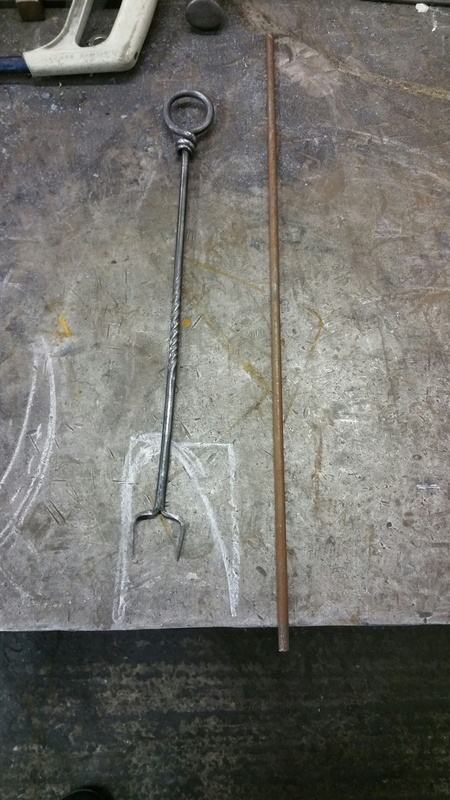 Working on a piece of metal is similar: first, I made my round steel rod into a square, then I went back and refined it until it was perfectly round. Then step by step, i hammered, shaped and twisted the hot metal until it was the way I wanted it to be – in this case, a toasting fork. It was very hard work shaping the metal and I had to concentrate every single second so that I didn’t do something silly like try to catch a burning coal that fell from the fire or touch the metal when it was red hot. 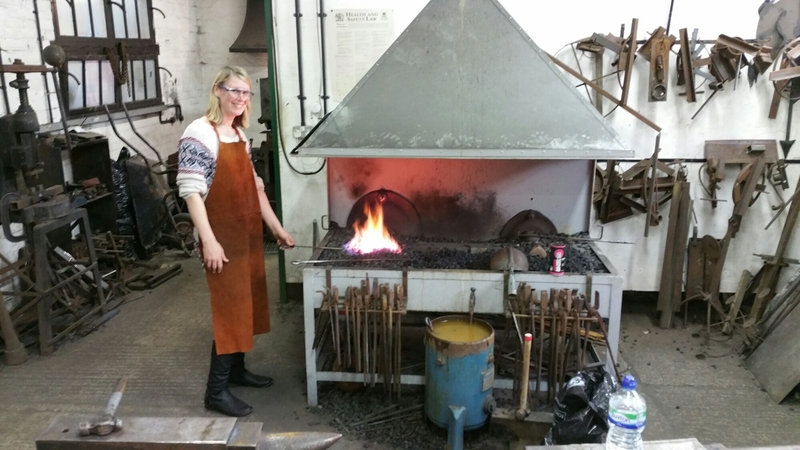 Every step of the way, Jo the Blacksmith would show me what to do and I would think, ‘I am NEVER going to be able to do this!’ (that’s something else I often think while I’m writing a book!) But you know what? I did it – I turned the dull metal rod into a shiny toasting fork and I can’t tell you how proud I am of myself for doing it. Right is what I started with, left is my finished fork! Have you ever done something you thought you couldn’t? Tags: inspiration, research. Bookmark the permalink. I would love to have a go at blacksmithing, but thought you had to be built like, well, a blacksmith – but now it can go on my list of can-dos! Thanks and your fork is beautiful! Definitely, Joan – if I can do it, anyone can!